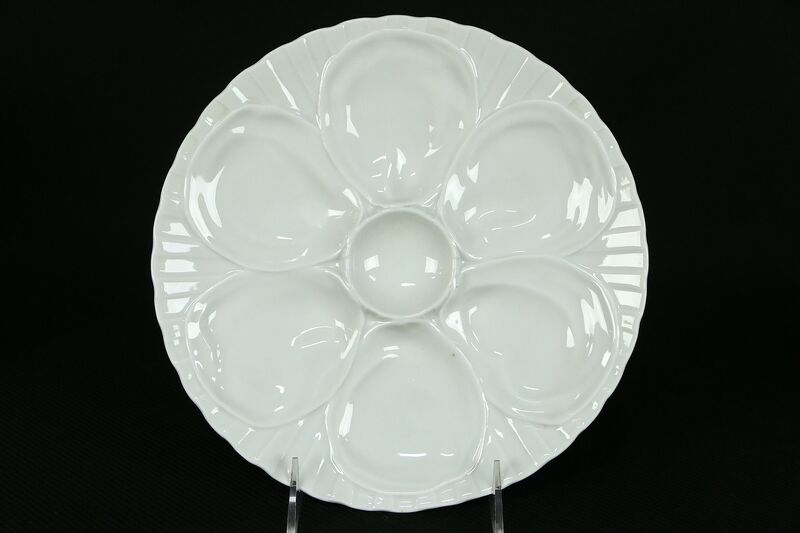 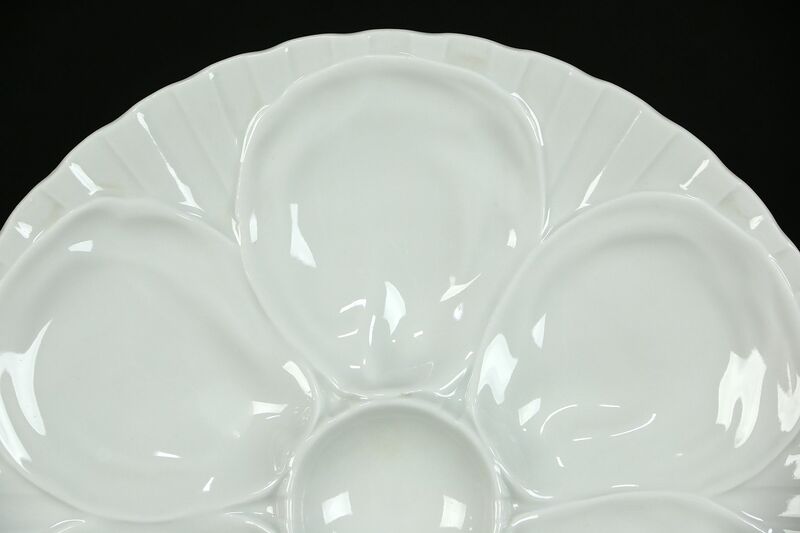 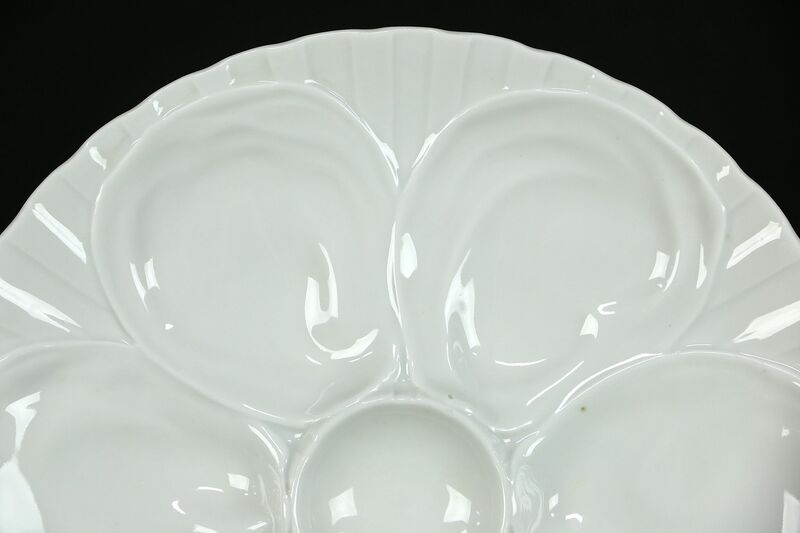 Signed "Pillivuyt, France," a porcelain oyster plate is delicately embossed with six wells for oysters and a center well for sauce. 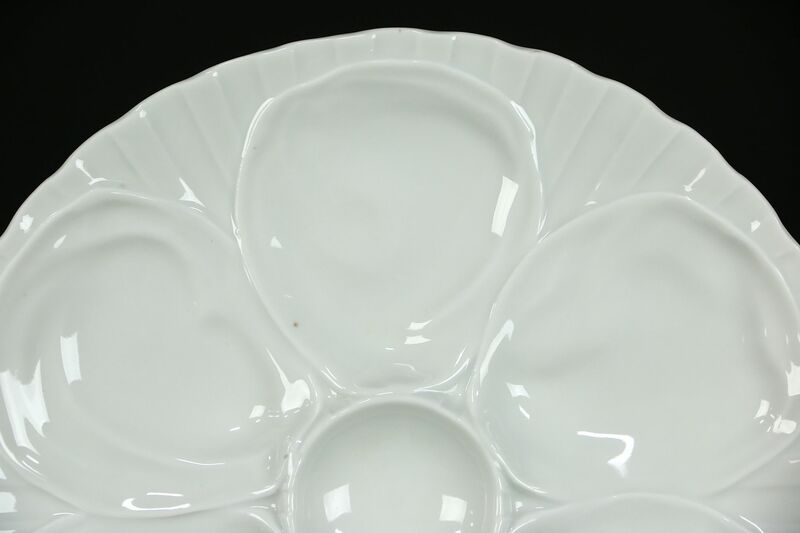 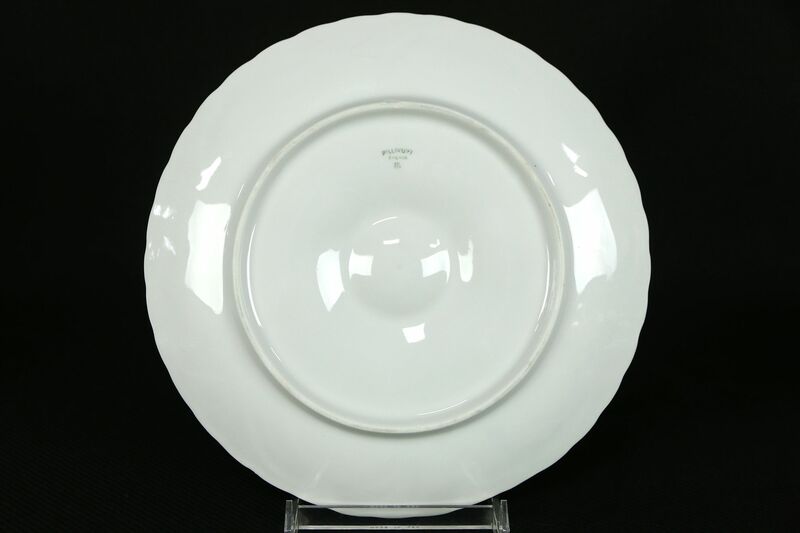 This antique china dates from the early 1900's. 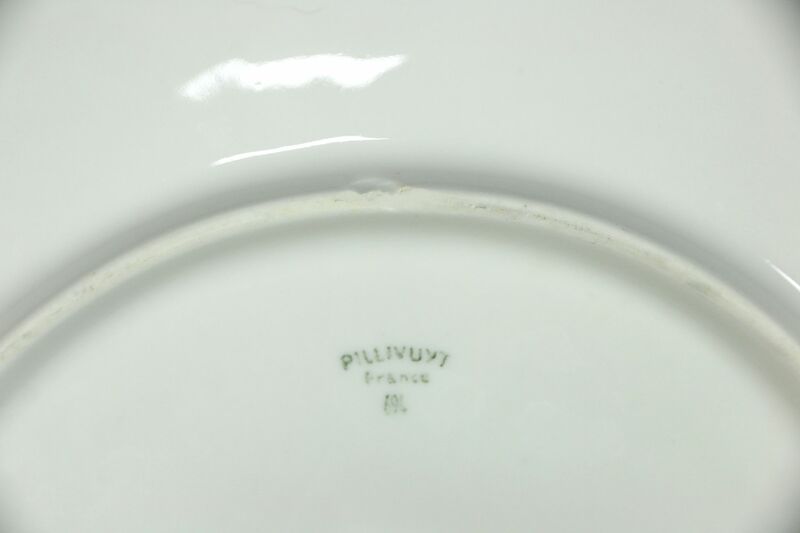 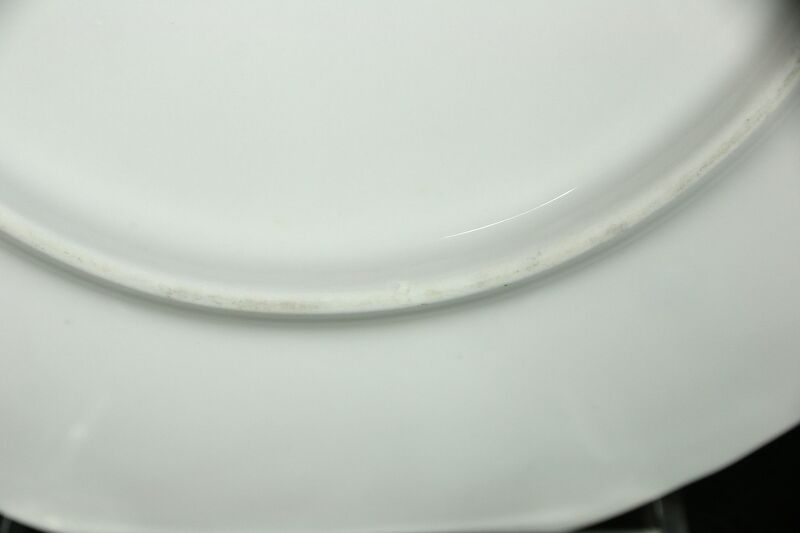 There are two flaws on the bottom ring, one is under the factory glaze, see photos. 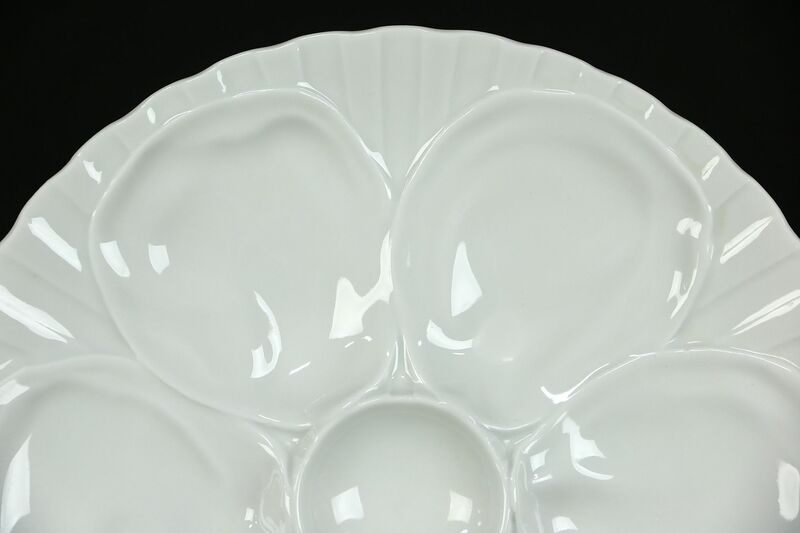 Size is 9 1/4" diameter.